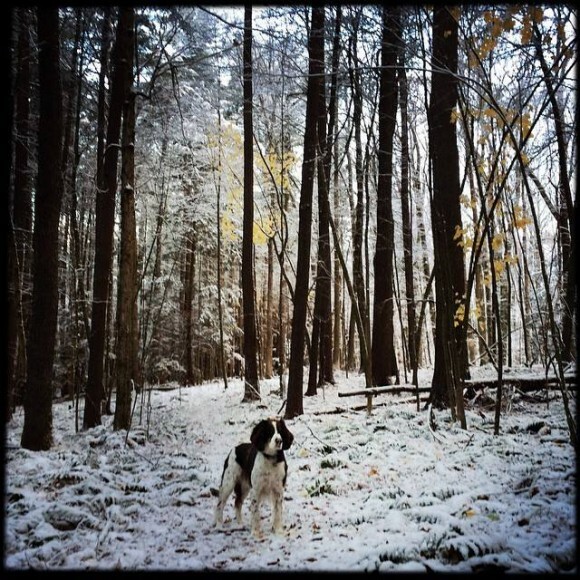 For the past several years, I’ve made an artistic practice of photographing my English springer spaniel, Goose, during our walks in the Berkshire woods in western Massachusetts. 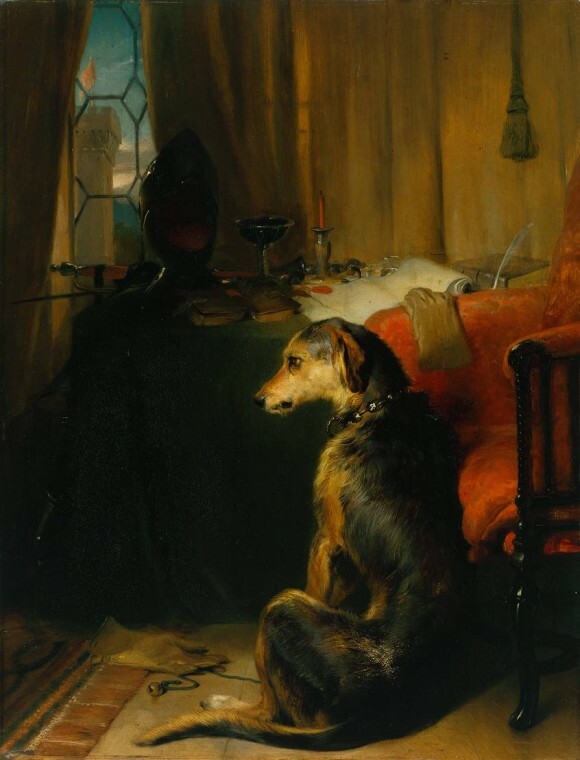 My friend, Anne Burt, suggested that these photographs are kin to eighteenth and nineteenth century British paintings of dogs in nature and I was curious to know more about this tradition. 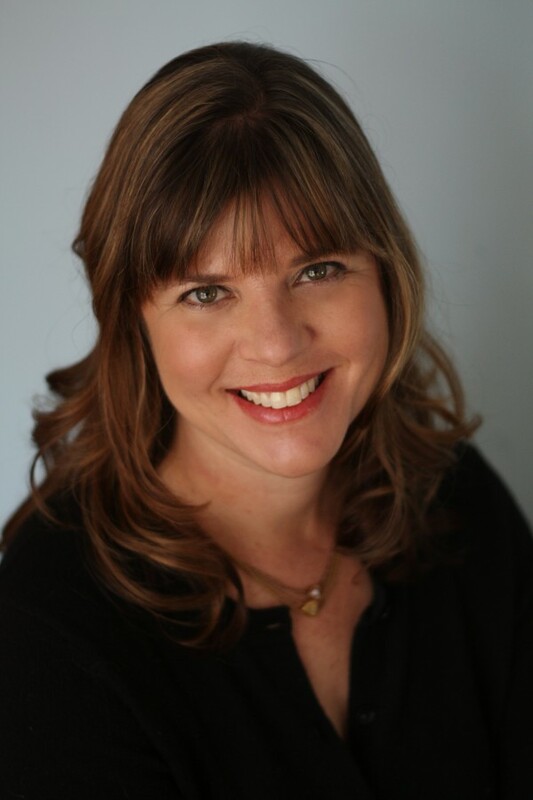 Anne put me in touch with her art historian aunt, Ann Bermingham, who kindly agreed to participate in this blog interview about the topic. 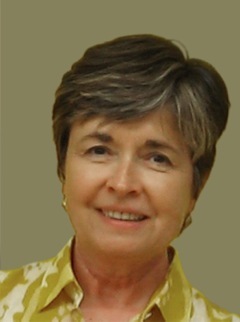 Ann Bermingham teaches art history at the University of California Santa Barbara. 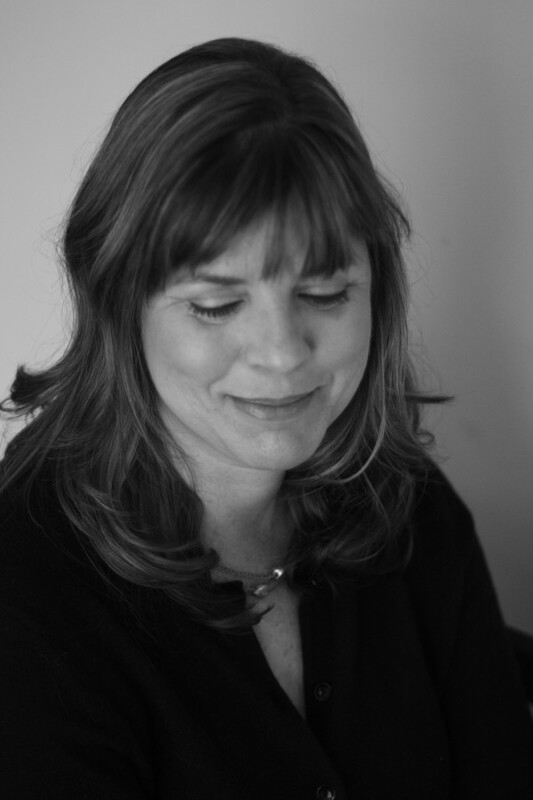 She specializes in British art and has written on landscape painting, women artists, the history of drawing, portraiture, domestic architecture and the work of Thomas Gainsborough, John Constable, J.M.W. 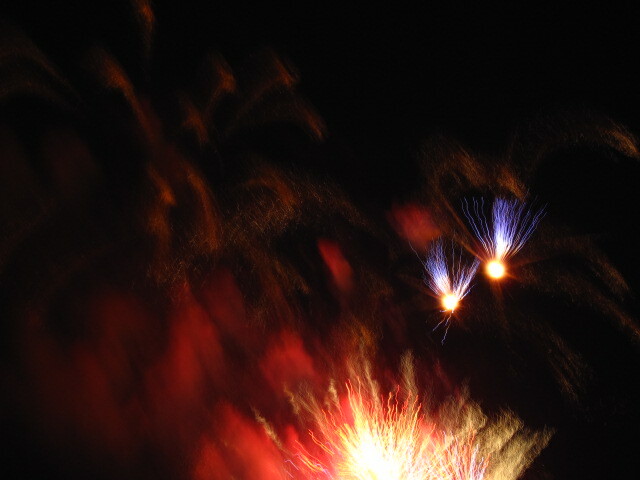 Turner and others. 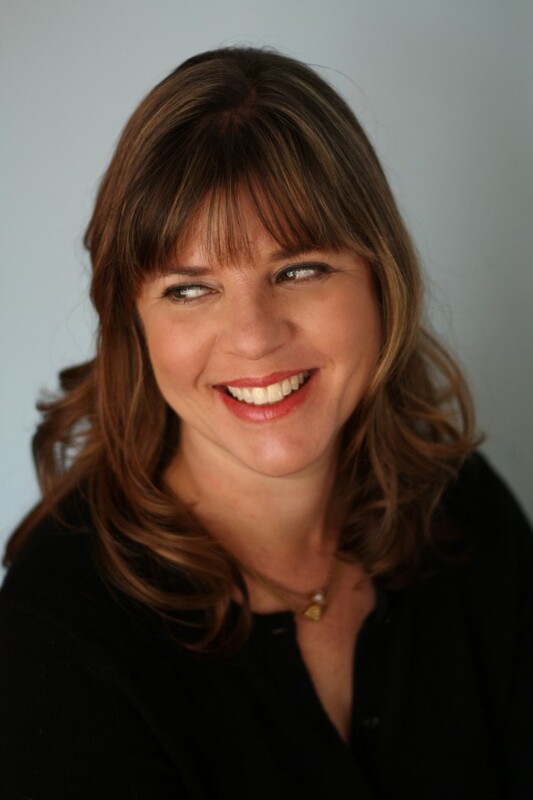 Gina: What inspired you to become an expert in eighteenth and nineteenth century British animal painting? What is it about that era of art that fascinates you? Ann: Actually I not a specialist in animal painting, I am a specialist in British art of the eighteenth and nineteenth centuries and animal painting goes with the territory. British art is incredibly diverse in terms of the subjects it treats. This is because unlike so much Continental art of the period, British art was not produced for a King or a court but for a market. The market’s wide range of patrons with their varied tastes and interests helps to account for the unusual, even eccentric, subjects taken up by British artists. This artistic variety attracted me. I’ve also been interested in our relationship to nature since the industrial revolution. 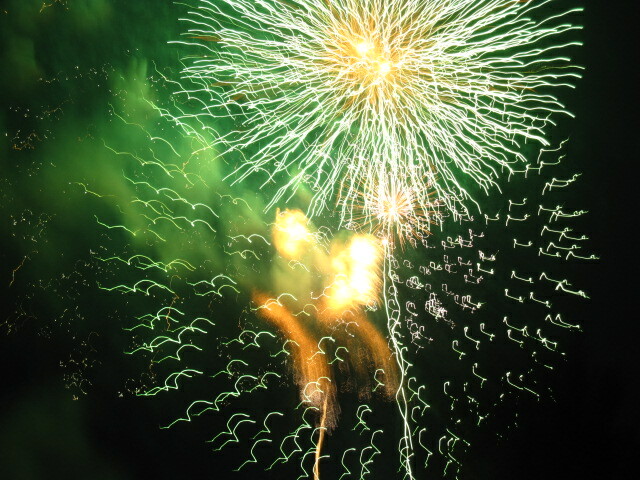 Britain was the first industrialized nation in the world. Starting with the eighteenth-century when industry beings to transform Britain noticeably, rural subjects such as landscape, and I’d include animals, become prominent in British art. One might think of this as nostalgia for something that is being lost or changed, but I think it has more to do with a need to use the aesthetic to recreate nature in a new ways that acknowledge loss while also accommodating it. Animal painting is a good example. There was a tremendous interest in animals in the eighteenth and nineteenth centuries. Some of this was economic—the improved breeding of livestock and sporting animals like race horses—and some of it was imperial—the fascination with exotic animals from all over the globe—and some was philosophical—the ethical issues raised by animals in relation to mankind—did they feel pain, were they intelligent, did they have souls, etc. The economic, imperial and philosophical interest in animals results in new ways of depicting them. We see that in the work of the two greatest British animal (and dog) painters George Stubbs (1724-1806) and Edwin Landseer (1802-1873). Gina: Who are your favorite dog painters? What sorts of dogs did they paint and what were they trying to express through their art? Ann: Because of their acute sensitivity to the changing place of animals in society, Stubbs and Landseer are my favorite dog painters. Before them, dogs appeared in art largely as symbols of fidelity. They rest at the feet of married women or gaze up adoringly at their male masters. 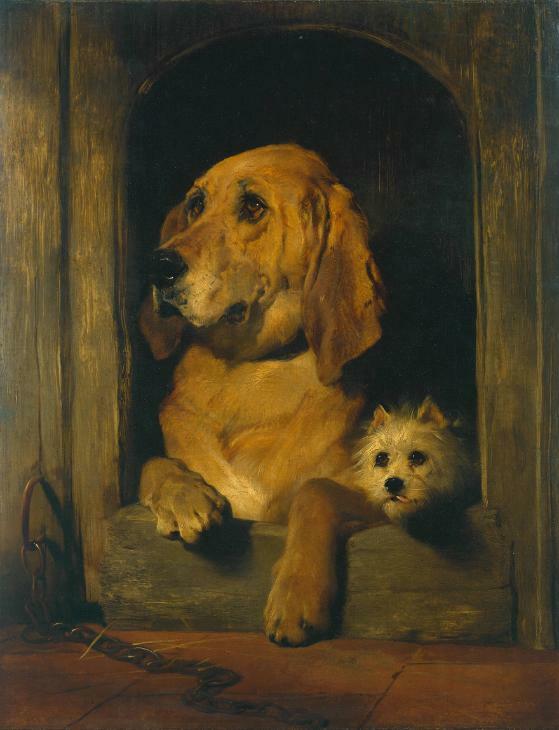 Stubbs and Landseer move beyond the symbolic and depict dogs in new ways. Stubbs is the scientist. He began his career as an artist by dissecting horses in order to understand them anatomically so as to represent them accurately. His working assumption was that nature was always superior to art and so he directed his attention away from the older traditions of animal painting and relied on his own observation. In doing so he set animal painting on a new path. He painted famous Newmarket racehorses, exotic animals in the Royal menagerie, and of course dogs. His dogs were for the most part bred for hunting—pointers, spaniels and foxhounds. 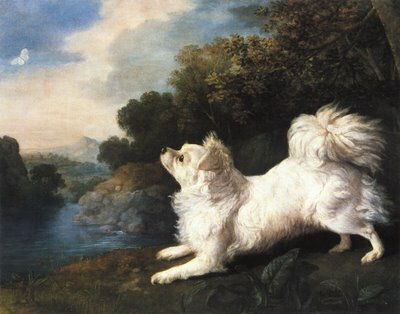 In his depiction of these dogs Stubbs concentrates on their anatomy and their characteristic markings and postures. The point is to describe the breed and Stubbs’s genius is to make all of this naturalism visually interesting. 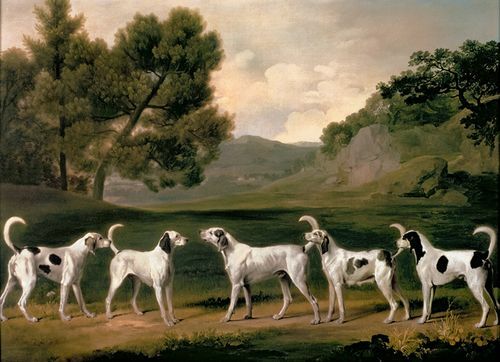 In his painting of Five of Lord Rockingham’s Foxhounds in a Landscape (1762) he arranges the dogs so that we clearly see their markings and physical features, but he also makes these elements aesthetic. There is a crisp rhythm to the line of the dogs with their repeating dark ears, spots, pointed noses and curved tails. The eye moves across the frieze of dogs to the “climax” of the composition, the place where the two white bodied hounds, a male and female, meet nose to nose. Like this painting of foxhounds, many of Stubbs’s dog paintings are really portraits of specific dogs belonging to friends and patrons. An interesting example of this, and one that goes a bit against the grain of Stubbs’s usual treatment of animals, is his painting of a Spanish Dog belonging to Mr. Cosway chasing a Butterfly (1775). Richard Cosway was a fellow artist and something of a fop. His little dog is a breed known as the Papillion because its fringed, perky ears looked like the wings of a butterfly. It was a favorite breed of royalty and popular in France. Stubbs shows Cosway’s dog chasing a butterfly to underscore the name of the breed and to suggest something of its playful nature. 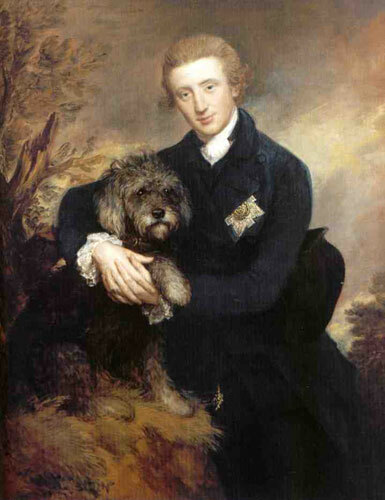 Unlike so many of the dogs painted by Stubbs, which tend to be working dogs, this dog is clearly a pet, a lap dog, and in this sense the painting points to some of the period’s more expressive representations of dogs as pets such as Gainsborough’s portrait of the Duke of Buccleuch with his dog (1770). 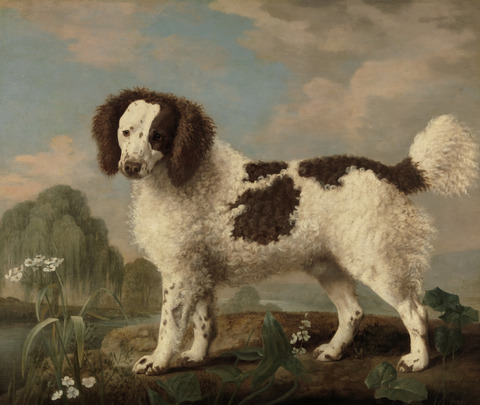 What any dog fancier must see when they look at Stubbs’s paintings is how many of the breeds he represents have either gone extinct like the English Water Spaniel, or have evolved into modern breeds. This later point is particularly true of the spaniels he depicts which in many cases seem to be the ancestors of your dog, Goose. If Stubbs sets animal painting on the path of naturalism, Edwin Landseer turns that path in the direction of sentiment. Landseer is interested in character and dogs become his medium for exploring it. Dignity and Impudence (1839) is a perfect example. Here the dignified bloodhound is wittily contrasted with the scruffy, feisty—“impudent” —little terrier. Both dogs belonged to a friend of Landseer’s and so again we’re dealing with portraits. But this is not so much the portrait of a breed as it is a depiction of a breed’s personality or temperament. 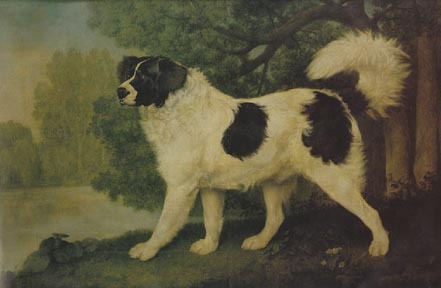 To see the difference compare Landseer’s depiction of a Newfoundland dog (1831) with Stubbs’s depiction of the same breed (1803). In the case of Stubbs we see the display of all the signs of the breed but we have no sense of what this breed is like. Is it hyper, domineering, timid, slobbering, snappish? We don’t know, and Stubbs doesn’t really tell us. 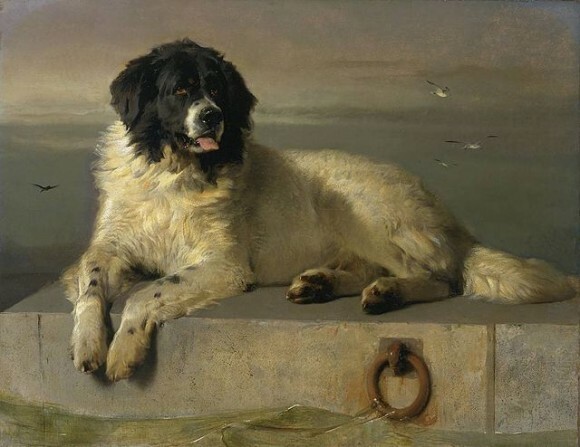 In Landseer we have the physical appearance of the dog described perfectly accurately, but we get more; there’s something in the dog’s gaze and the set of his large thoughtful head that suggests a noble nature. This is a portrait of a dog known as Bob that survived a shipwreck and went on to rescue people from drowning. The setting tells us he is a water dog and the title, A Distinguished Member of the Humane Society, tells us he is a heroic rescue dog. Just as in the case of Dignity and Impudence, the title is essential in creating the effect of the dog’s character. In a sense Landseer is the Charles Dickens of animal painting, creating vivid, memorable characters in dramatic, sentimental, and amusing narratives. 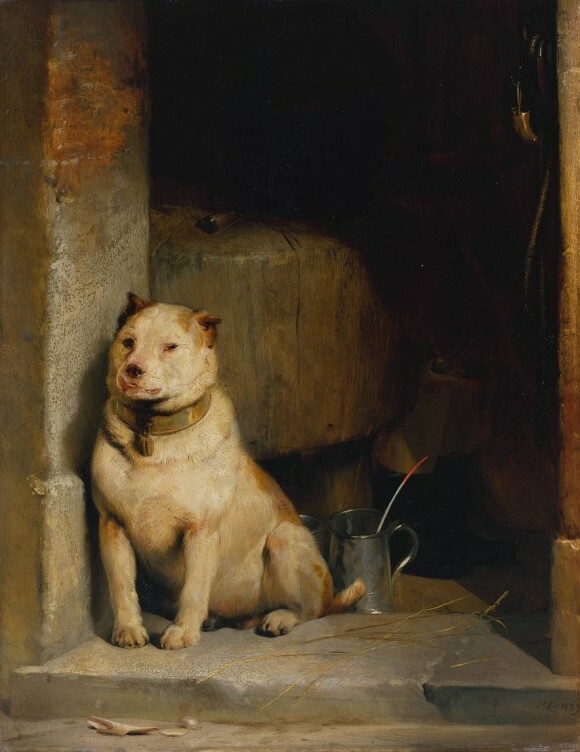 Even class gets it’s due in pendants like High Life and Low Life (1829) where an elegant, long-boned deerhound in an aristocratic interior is contrasted with a squat bulldog pugnaciously guarding a butcher’s doorstep. In the 1950’s Walt Disney would translate this kind of Landseer narrative of class into Lady and the Tramp. Landseer gets a bad rap these days because he is seen as projecting human characteristics onto dogs. This is certainly true, but not a reason I think to reject him. He interests me because his work points to a new relationship with animals, one that sees them as more like us than not. The science of the day supported this. If animals were like people then people were like animals. Charles Darwin believed that not only did human beings have a direct kinship with other animals, but that animals had social, mental and moral lives too. In The Descent of Man (1871), he wrote: “There is no fundamental difference between man and the higher mammals in their mental faculties.”In the nineteenth-century anthropomorphism (this tendency to see animals in human terms) is responsible for changes in the law, which protected animals from wanton cruelty. These laws begin in 1839 with the London Police Act and culminate in 1911 with the Protection of Animals Act and the founding of the Royal Society for the Protection of Animals (RSPCA). Today we tend to respect dogs for their difference from us—we don’t need to humanize them (although it’s hard not to given our inheritance from the nineteenth century) in order to love and appreciate them. They are fine in all of their essential dogginess. I see this in your photos of Goose. Like Stubbs many of your portraits show him outside sniffing fallen logs, or running on country lanes and just enjoying being a dog outdoors. What you don’t show Goose doing is hunting, and this sets your work off from that of many earlier artists. For them the portrait of the dog had to display the purpose of the breed—hunting, rescue, herding—by showing them doing their characteristic work. 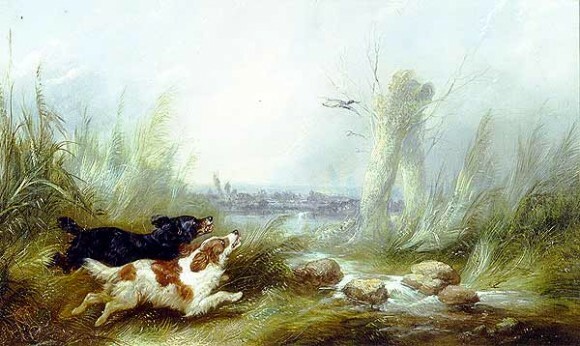 For instance, George Armfield (1808-1893) was a Welshman who had a great fondness for painting spaniels hunting game. 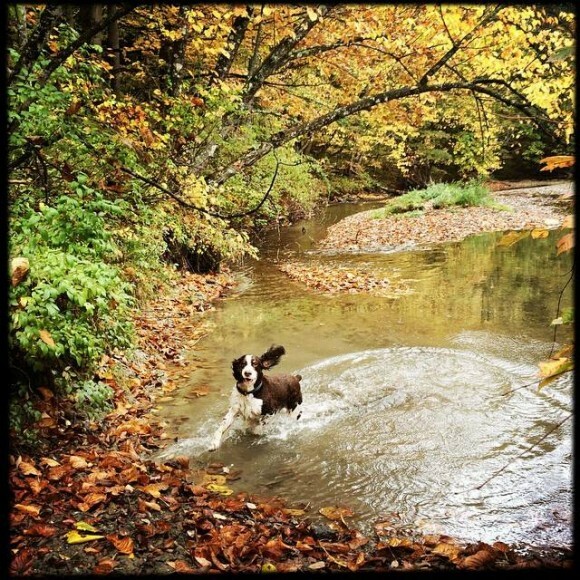 He shows them splashing through water and racing through the underbrush. He occasionally depicts them resting by firesides and nestling with their littermates, but for the most part his portraits are action packed and depict the dog doing the work it was bred to do. Goose is not shown “at work” but rather at play. In this sense, he’s more a child than an adult. This points to a sensibility that also distinguishes our relationships with animals from those of the eighteenth and nineteenth centuries. 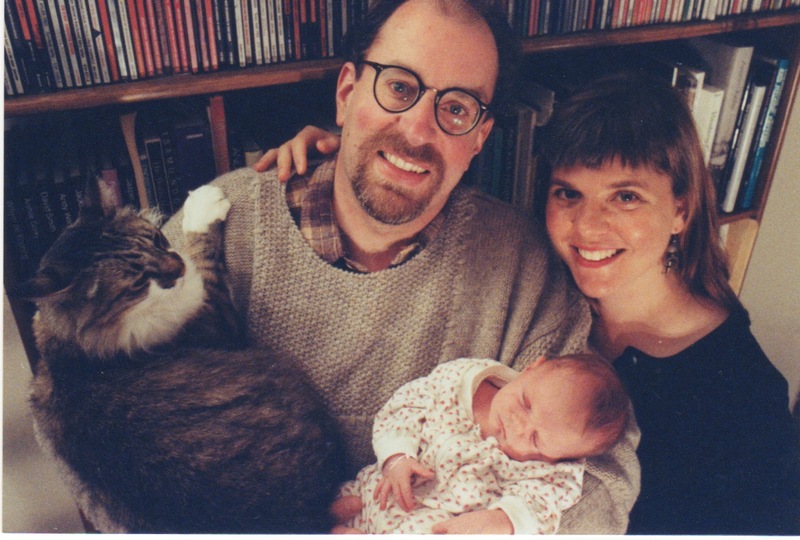 Dogs and cats are now part of our families, children (or maybe grandchildren) to be enjoyed and indulged. I’m struck by how many people today refer to themselves as their pet’s “Mom” or “Dad.” I think even Landseer might be surprised by that. Ann: Goose comes from a distinguished line of sporting dogs. 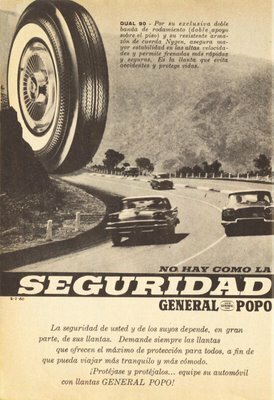 Spaniels originate in Spain, hence their name. In the eighteenth century, spaniels were split into three categories: land spaniels, water spaniels and toy spaniels. The land spaniels were split into two further types, the cocker spaniel and the springer spaniel. 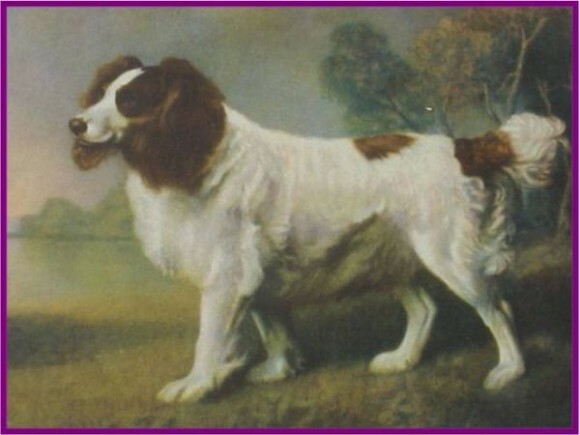 Springers were the large dogs born in a cocker spaniel litter. The cockers would be used to sniff through the underbrush for woodcocks while the larger dogs would be used to “spring” game from the brush so that it could be shot. The English springer spaniel was recognized as a breed distinct from the English cocker spaniel in 1902. The English cocker spaniel is different from the American cocker; it has a longer snout and a slimmer, less cobby body. English springer spaniels carry these same physical characteristics. 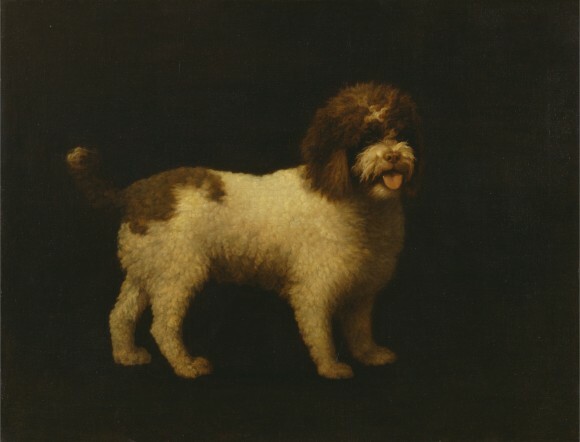 Throughout the eighteenth and nineteenth centuries different types of land and water spaniels were interbred in Britain and one of the ancestors of Goose, in addition to the cocker spaniel, is the Norfolk water spaniel, a type which is now extinct. 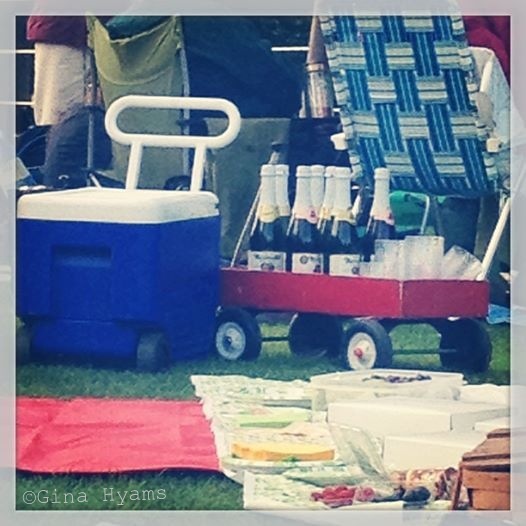 Gina: Thanks so much. 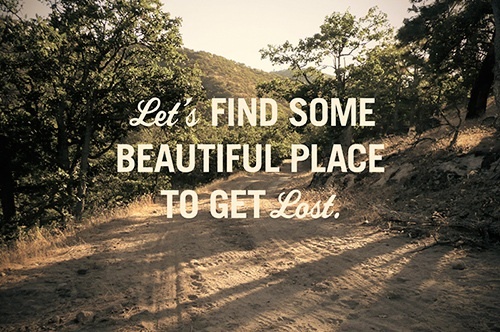 What’s your next project? 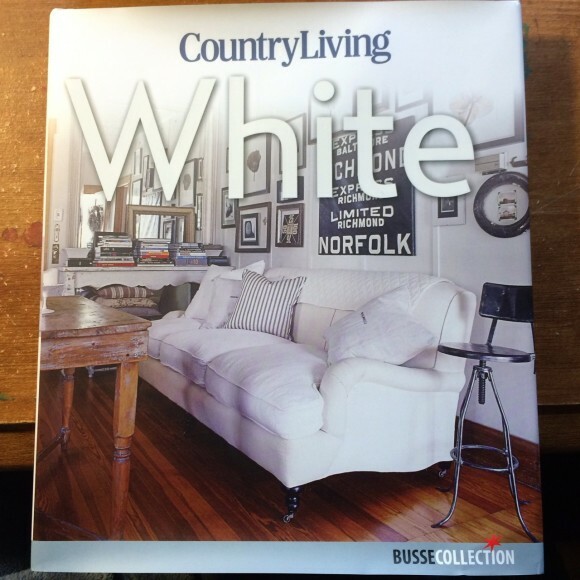 Ann: I’ve been interested in the cottage as a vernacular form of domestic architecture. Traditionally, cottages were the homes of peasants and agrarian workers. 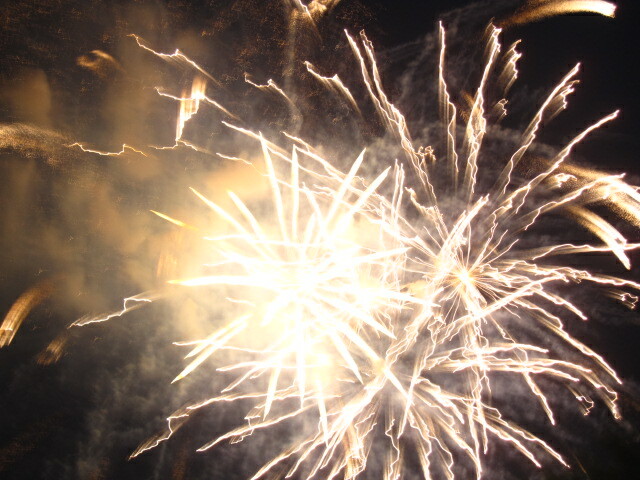 However, at the end of the eighteenth century they came to have great appeal to the middle classes. All you have to do is recall in Jane Austen’s Sense and Sensibility Robert Ferrars waxing enthusiastically to Elinor Dashwood about the “comfort” and “elegance” of the cottage to get a sense of how much an object of middle-class fantasy it had become. I’ve already told some of that story, but I’d like to look at the cottage now in relation to the development of working class housing in the early industrial revolution. It’s the root form not only for suburban villas but also for worker housing, so I’m interested in exploring this other aspect of the cottage’s history. There is a lot of interesting research to do, so it’s a topic that I imagine will keep me busy for a while. A bit of thrill arrived in yesterday’s mail. 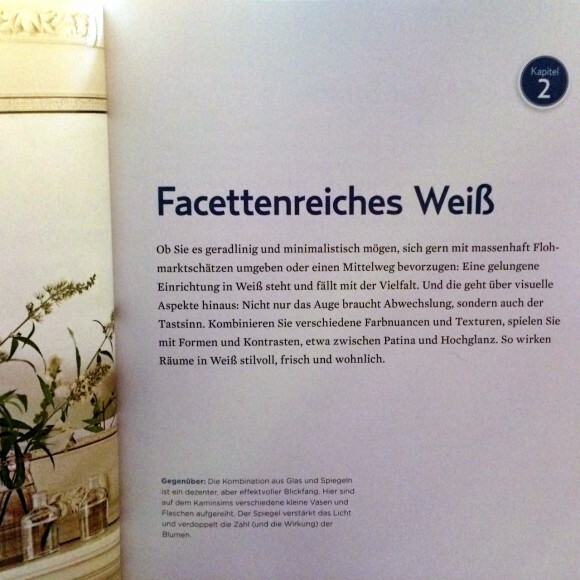 New cover for the German edition. I like it. 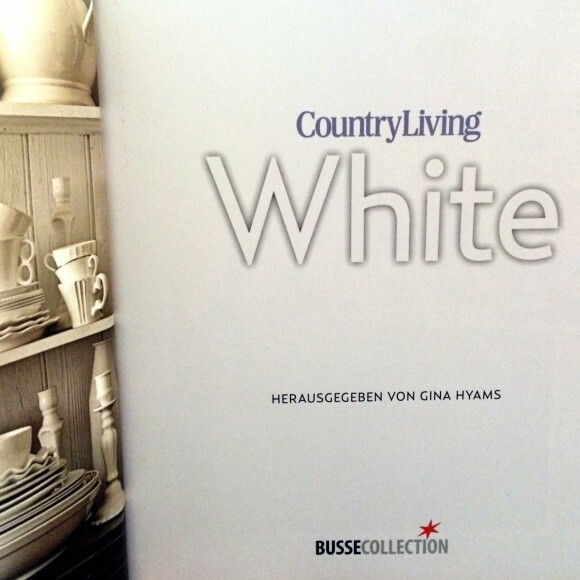 It’s curious that Busse Collection shortened the title, but didn’t translate it. 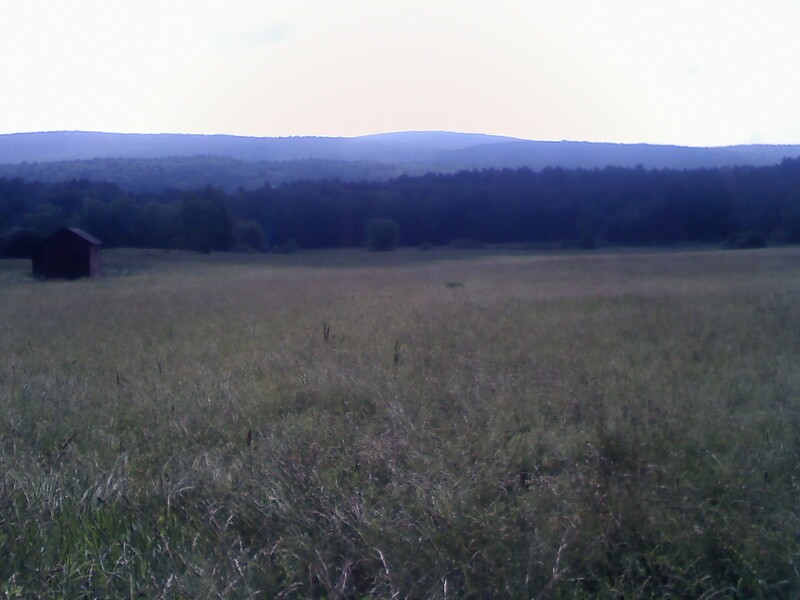 This Berkshire summer vista on Monument Mountain Road in Great Barrington, Massachusetts always makes me catch my breath. 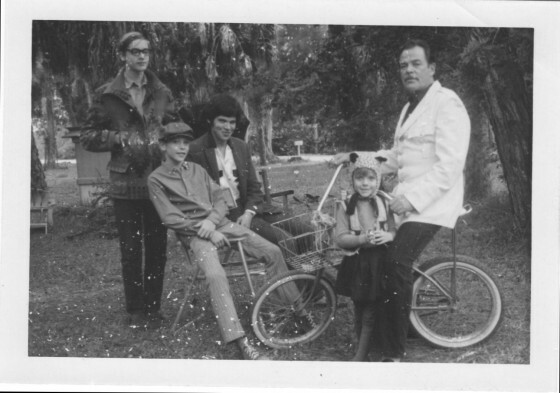 Me with my father and brothers Jan, Kris, and Charlie. Sarasota, 1970-ish. 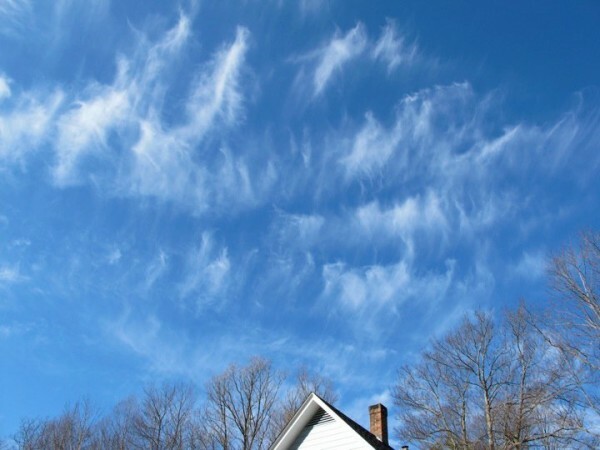 Catherine Niles of Salisbury, Connecticut posted this wonderful image on her Facebook Daily Photo Journal. It sums up how I feel about this gorgeous spring day and I’m pleased to share it here with her permission. 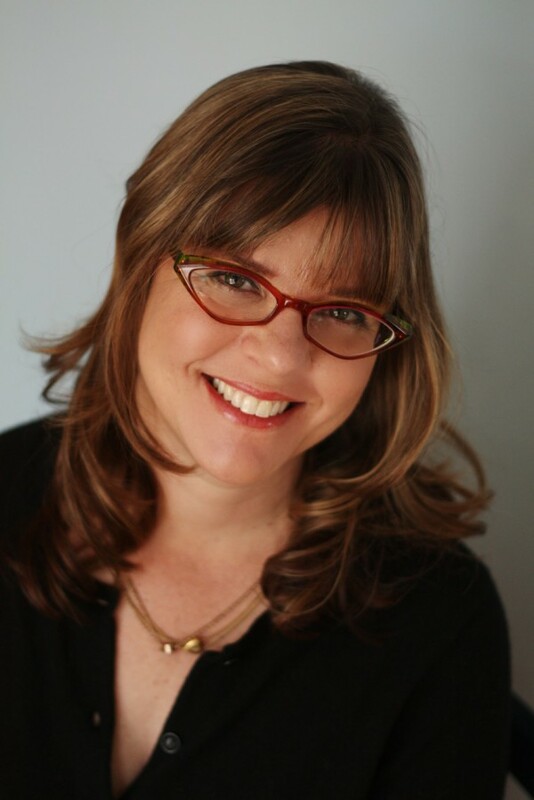 Cathy doesn’t have a website yet, but you can reach her at cenile [at] comcast.net. To see Cathy’s fall foliage photos from a couple of years ago, click here. I’m sad that we’re not going to manage a family vacation this summer as there’s no break between when Dave’s Jacob’s Pillow season ends and when Annalena commences her sophomore year of high school. I keep redecorating my Twitter background wallpaper in protest with road trip imagery and I impulse-bought the above print yesterday. It’s part of Jen Bekman’s delightful Summer Reading exhibition in NYC. 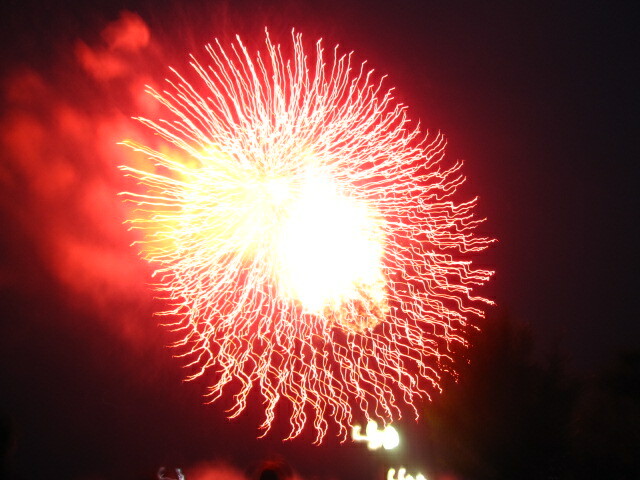 My daughter, Annalena Barrett*, took these spectacular photos on the 4th of July at the National Mall in Washington, DC. 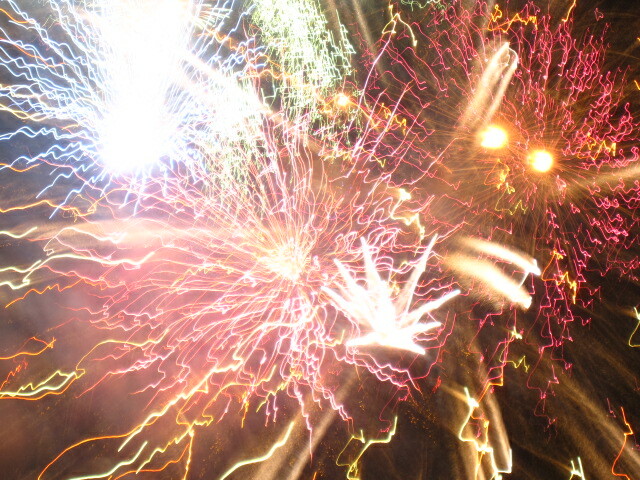 Some she took using the “fireworks setting” on the camera and others not. I have no idea how she even knew there was such a setting. Chalk it up to being a digital native. *Photos posted with permission (and if you find these images via Google image search and want to use them, then you, too, should ask permission ’cause the photographer may only be 14, but she is savvy).